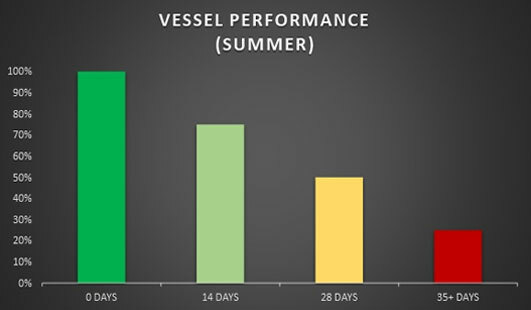 During vessel operation, performance loss & overheating issues are directly related to the build-up of Marine growth. Marine growth, such as barnacles will begin attaching to underwater components such as propellers & intakes in as little as 10 days following a fresh cleaning. Maximizing & sustaining vessel performance is our specialty. 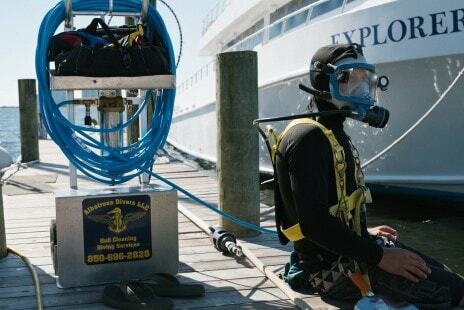 We maintain the integrity & smooth operation of all underwater components. PAINT FLAKING: As we know, bottom paint and the barrier coat work together to act as the primary layer between your vessel and the underwater elements. Paint flaking creates a void in this duo and over-time could become ground zero for a hull blister to appear. As diver's clean and inspect the hull, they will note the size and quantity of any paint flaking that they find. DELAMINATION: This process is referring to a more horizontal release of the layers of fiberglass along the outer hull substrate. Overstressing and high impact to the hull can cause tiny cracks or small voids in the hull materials. Over time, through normal wear, vibrations and impact, the fiberglass layers begins to peal or release from itself. We typically see this where repairs have been made without proper compression of the fiberglass-resin-gelcoat application. Call us at (850) 696-2828 or fill out our Contact Us form to schedule a service. Zinc – Designed for saltwater environments. 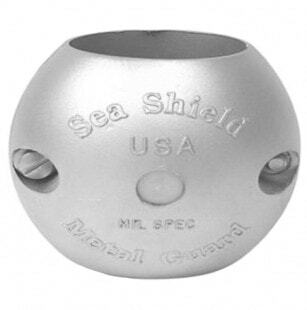 Aluminum – Designed for Saltwater or Brackish water environments. Magnesium – Designed for freshwater environments. ANODE MONITORING: We monitor each component and its anode(s) specifically. Each component and its anode(s) are bonded together and are part of the vessels bonding system. With detailed monitoring we track each component down to the smallest detail - minor details can result in major savings down the road. By tracking the service history of each anode we are able to predict its future replacement, stocking its replacement specifically for your vessel. Accurate anode monitoring and proper anode installation are imperative to the service life of underwater metals. Matt came when he said he'd come, did what he said he'd do and charged what he said he'd charge. That's as good as it gets. Very professional, great cleaning, super impressed!